We offer the 4 hour BDI/TCAC course, the 8 Hour Intermediate course, the 12 hour ADI course, First time Driver Course, and Driver's Permit Online. We offer these courses in various formats (please see front page of the website for more information and select the actual course you are interested in). In generally, we have several different, outstanding online courses which can be completed anytime, anywhere on your computer. These courses combine humor and professional writing that will help you complete them without any hassles or inconveniences. We also offer classroom courses with entertainining instructors at select times and locations. Please call us at 407-348-0005 or check us out online for many scheduled classes and courses. We have the funniest video/DVD ever produced in the State of Florida for our 4 hour BDI/TCAC program, and now are pleased to offer the first booklet course of its kind ever approved in Florida, for the BDI/TCAC. 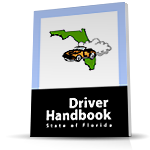 All of our Kissimmee Driving School Online courses are professionally written, educational, entertaining, and courses that we are proud to offer to you after 30 years in business. Registration for this course is quite simple. You can click here (for the 4 hour BDI/TCAC registration) and be taken to the online registration page. Or you can register directly on our home page for any of our other courses. Just complete all the appropriate fields and you can get started right away. You may also call us at 407-348-0005, 6 days a week (MON-SAT 9AM-6PM) to register. We are glad to help. Q. I have already enrolled. How do I get back into the online program?. If you have already enrolled for the internet course, you have a username and password. You may re-enter those codes on our home page where instructed as many times as necessary to access and complete the program. If you have forgotten or lost your username or password, give us a call at 407-348-0005 during normal business hours. We are here to answer your questions or send us an email at info@funnyinflorida.com. All emails are usually answered same day during normal business hours within a few hours. If for any reason, we don’t answer your request in a few hours, please give us a call.